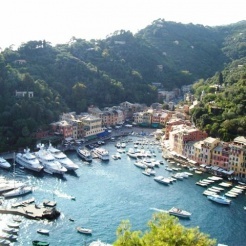 Discover the beauty of the Cinque Terre and the charm of Portofino while learning Italian with us. Founded in 2004,Nel Blu is a small modern and welcoming Italian Language School located in the seaside town of Chiavari (Genoa), whose unique landscape is created by the encounter between land and sea. The school is only a few minutes’ walk from the beaches and other beautiful places and monuments. Courses are held all year: we offer group courses (students will be divided into small groups according to their level) as well as individual lessons, so as to meet our customers’ needs, thanks to our staff of qualified and experienced teachers.